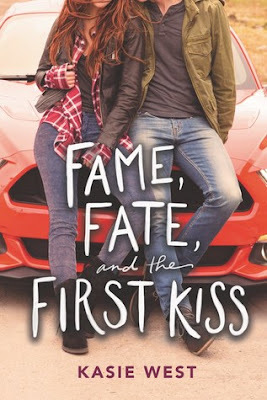 My next book out is FAME, FATE, and the FIRST KISS. It comes out February 5, 2019. 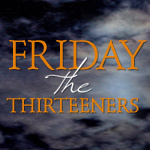 If you like stories about celebrities and fame and love and sabotage, this story is for you. I love it and I hope you do too! After that, MAYBE THIS TIME comes out. 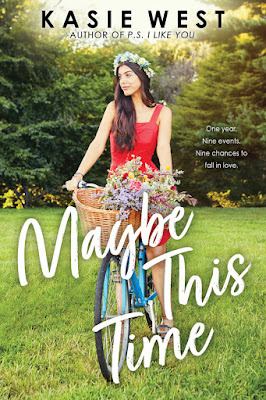 Its release date is July 9, 2019. This story takes place over a year of events that the main character works. Think, Four Weddings and a Funeral (the movie, for those of you not old enough to know what I'm talking about). If you like holidays and parties and love and banter and family relationships and friendships this story is for you. This is one of my favs and I hope you love it! Hello friends! It was one of my dear friend's book's birthday on Tuesday, October 23rd (a great day for a birthday if I do say so myself *cough cough* In case that's too vague: it was also my birthday.)!! 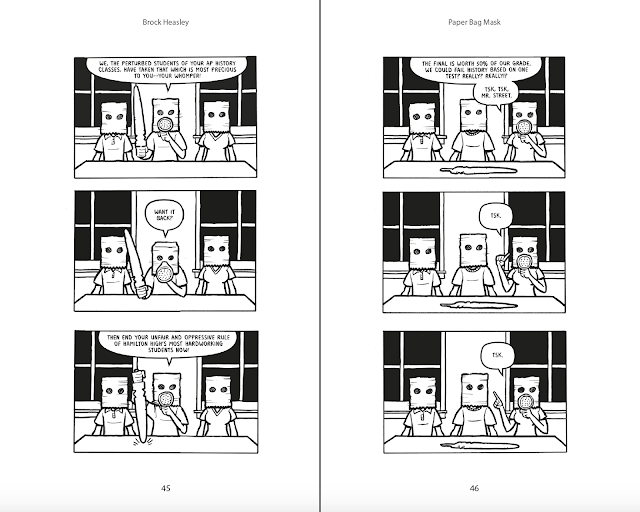 Paper Bag Mask is now available to read and you're going to love it! I asked Brock a few questions to celebrate this special week! Kasie: Hey Brock! Congrats on your new book, Paper Bag Mask. Can you tell us a little about it? Brock: I’d rather tell you a lot, but…fine. I’ll be brief just for you, Kasie. 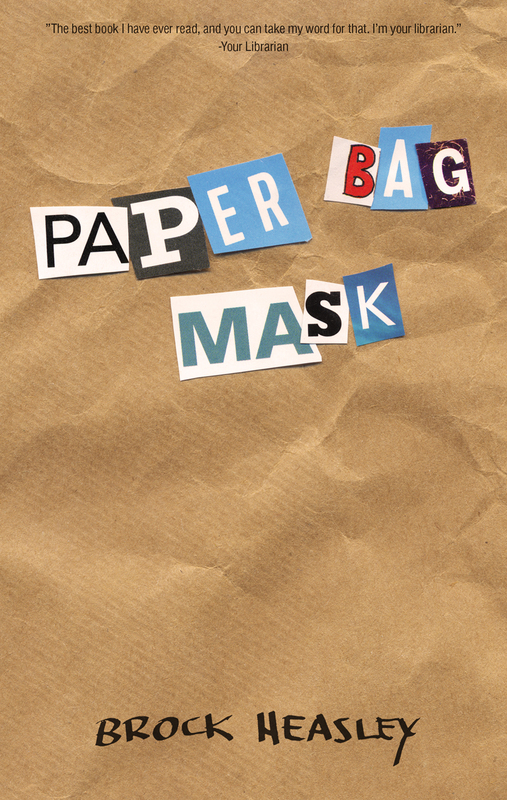 Paper Bag Mask is a YA Contemporary novel (You ever read that genre? It’s really great.) with some surprises inside beyond the twists in the story. It’s about Redmond Fairweather, an invisible nobody at Hamilton High who steals his history teacher’s prized possession—a stupid wooden sword with rounded edges that will never, ever cut through anything—“The Whomper.” Redmond has no idea why he stole the Whomper. He guesses his extreme dislike (okay, hate…so much hate) of Mr. Street, the school’s most celebrated teacher, probably has something to do with it. To his surprise and delight, the hottest girl in school, Elodia Cruz, hates him too. Soon, Redmond’s small band of misfit friends joins up with Elodia and most popular kids on campus to hold the Whomper for ransom, pull off an elaborate, broad daylight heist to steal something even bigger from Mr. Street, and expose their teacher for the scumbag he really is. Okay, I lied. That wasn’t terribly short. I feel bad now. Kasie: No need to feel bad! We love hearing about books. The more the better! 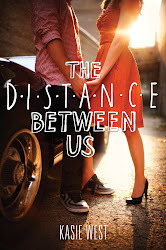 But more importantly, my readers will want to know…is there romance in this book? Brock: I am happy to tell your readers that there is! Terribly awkward romance that goes sideways and backwards and triangular and quadrangular and almost seems beside the point as the plot thickens until it becomes just about the only point that matters at all. I tried to capture something of my own experience with romance in high school, which was almost uniformly terribly executed and always, always the first victim of my insecurities. The main character in Paper Bag Mask doesn’t stumble quite as badly as I did, but he does stumble. Boy, does he stumble. Kasie: We like awkward romance. I like any kind of romance. Changing gears here, your MC holds an object for ransom. Now, I want to know, have you ever in your personal life held an object (or a secret or an idea) for ransom? Brock: I’m ashamed—delighted?—to say that I have. Paper Bag Mask takes its inspiration from the real life Whomper which some friends and I stole from our history teacher back in high school and really did hold for ransom. It was a prank that blew up bigger than any of us intended. I like to say about 40% of Paper Bag Mask is true, but probably not the parts anyone expects. We made ransom videos, the police got involved, and I’ll never forget the day at the height of the whole mess when my math teacher came up to me, shook her head, and said, mournfully, “I just never thought you would do something like that.” About broke my heart. 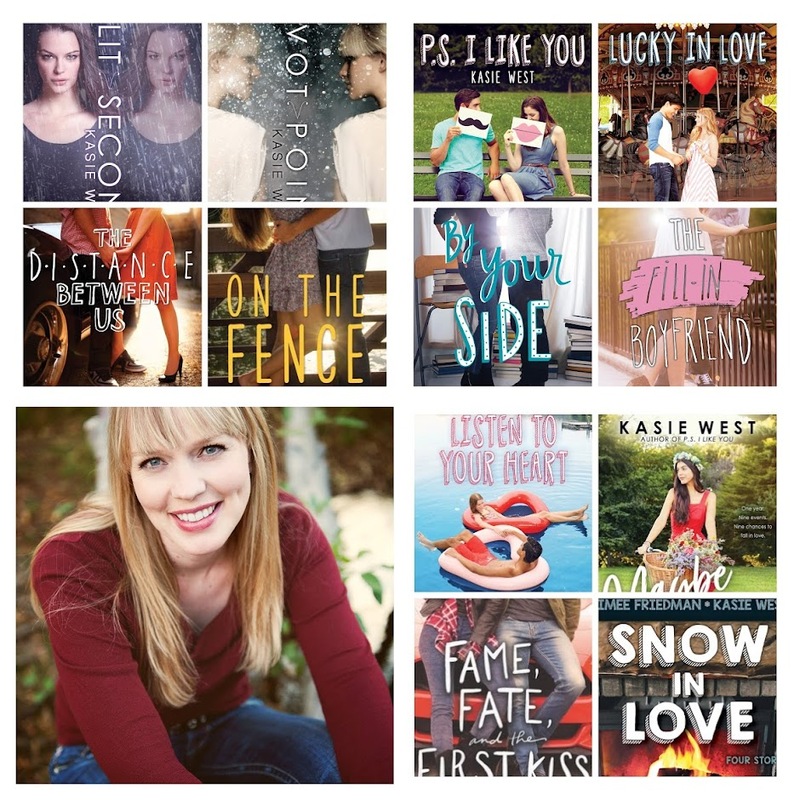 SO, what made you decide to write a Young Adult book? Brock: There’s a snarky answer here about when you conquer one world you go looking for more worlds to conquer, but I’m going to resist that temptation (too late) and be honest and say that I’m lucky to have opportunities to work in the medium that best suits the material. Sometimes, that’s comics, and sometimes that’s film. And with Paper Bag Mask, it was so clearly a YA story that telling it this way was the only way that made sense to me. I thought maybe the publishing industry could make a little room for a story that is about essentially good kids (all the main characters are Honors students with no disciplinary records) who do this terrible…maybe righteous?...thing. 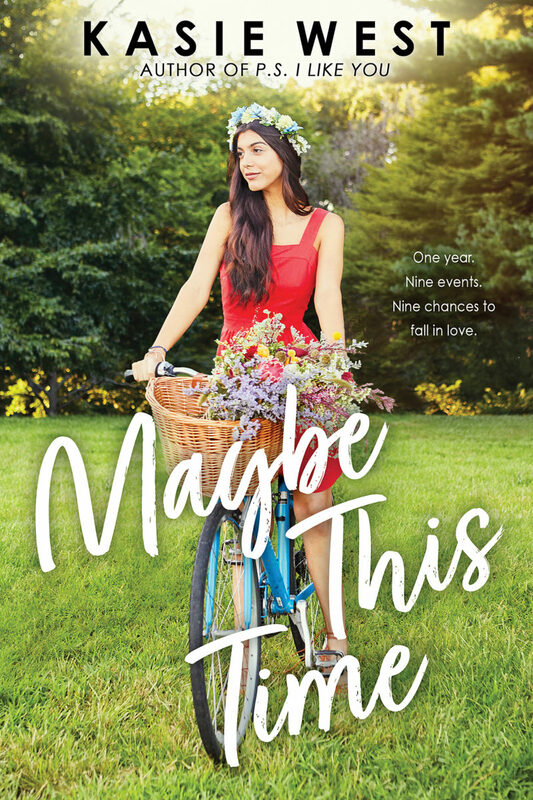 I’m encouraged by books and films like the recent To All the Boys I’ve Loved Before (which my 16-year-old daughter insisted I watch with her—and I’m glad she did! It’s really good!) that feature essentially good kids dealing with their insecurities and the real, emotional stuff that goes on in high school. I wanted to get into that space and write a book that I wish I could go back in time and hand off to my 16-year-old self with confidence. Instead, my daughter got the first copy, which was its own reward. How was this experience different than what you’d done before? What was it like tying together two things you love? Brock: Yes, because I just LOVE to make more work for myself, I put illustrations at the top of every chapter, and illustrated the ransom videos the kids send to their teacher (just like my friends and I did) as comics instead of describing them in the text. It was the best way to tell those parts of the story, though I knew it was very much an off-the-beaten path thing to do. Taking two aspects of storytelling I love—prose and comics—and slamming them together has actually been far more rewarding than I expected. People seem to really like the combo. Kasie: I am one of those people. I think it's super cool. 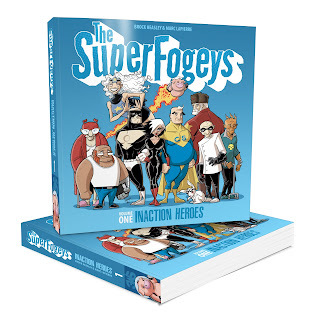 So, Mr. Super Cool, does that describe your high school self (like the popular kids in the story)? Or were you more like Redmond (the main character) and his band of misfits from the story? Kasie: Ha! I'll let you keep that playlist, although I do enjoy some good throw back tunes. So what is it that you hope readers will take away from reading your book? Brock: First and foremost, I hope they have a good time reading it. This is a heist story through and through, and like all good heist stories, it saves the best twists for the end. When the reader gets to that last page I want them to say “Dang, now that was a good ending.” But most importantly, there are some crucially important, coming-of-age themes at play and I hope they are able to see enough of themselves in Paper Bag Mask to think and reflect on their own high school experience, whether it’s current or past. Kasie: Are you sticking around in our arena for a while? 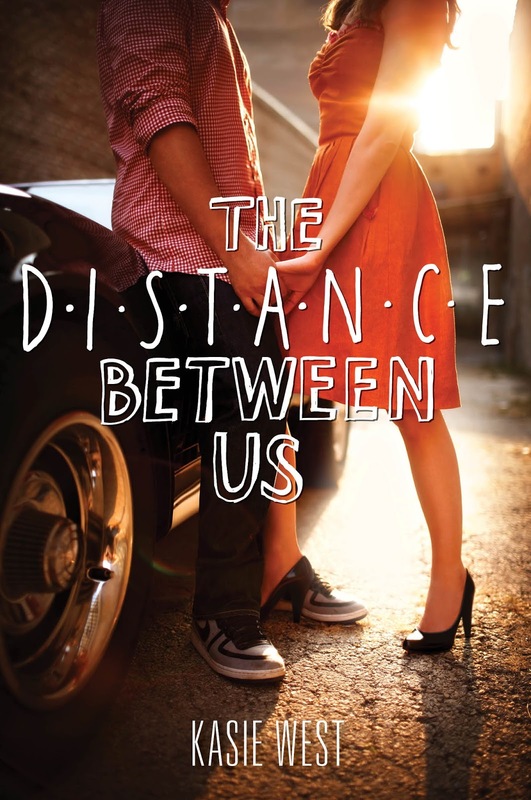 Do you have more young adult stories in the works? Brock: As I mentioned, I move to the medium that best suits the story, but yeah, I definitely have another YA story I’d like to tell, one that would be more suited for a series of books that would be about the tricky transition to post-high school when the whole world is telling you who you are and who you should be—go to college, get a job, etc.—and you’re just not sure that’s you. It’s a story I desperately want to tell. Kasie: I can't wait to read whatever else you choose to put out after this one. In the mean time, where can we find you in the online universe? Brock: My author and blog site is at brockheasley.com (https://brockheasley.com/), and I have a Facebook page (https://www.facebook.com/writerbrock/) and Twitter (https://twitter.com/brockheasley). 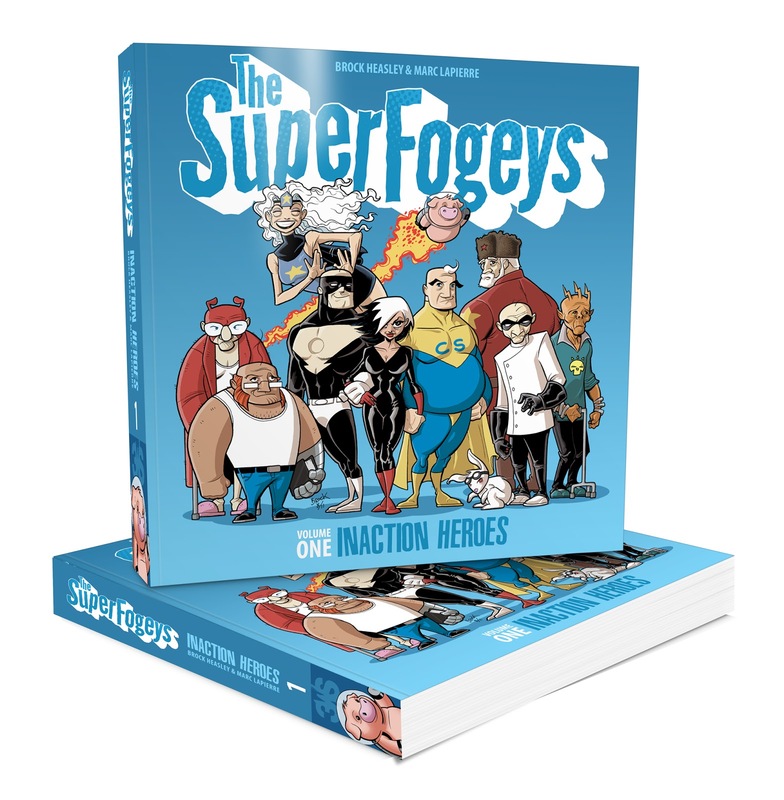 You can see my comics work at superfogeys.com (http://superfogeys.com/) and on Webtoon (https://www.webtoons.com/en/challenge/the-superfogeys/list?title_no=149351). Very soon now, my first short film will be making its online debut, but I don’t have a link for that just yet. Brock Heasley is a writer and artist who was a member of such prestigious high school organizations as The Nerd Herd, Last Picked for Teams, and They Who Eat Alone. 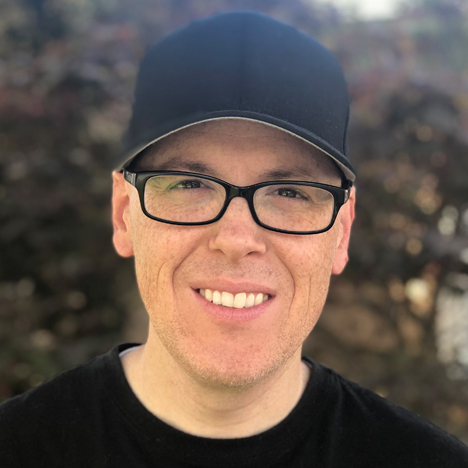 He is the writer and illustrator of the YA novel "Paper Bag Mask," the creator of the online comic "The SuperFogeys," and the award-winning filmmaker behind "The Shift." Brock lives with his wife and three daughters in California where they enjoy Pixar movies, dancing in the living room, and eating breakfast for dinner. Hey! If you're in Northern California on August 25th or 26th you should come see me!! On Friday, August 25th, I'll be at Linden Tree Books at 6pm. 265 State Street, Los Altos, CA. On Saturday, August 26th, I'll be at Hicklebee's at 6:30pm. 1378 Lincoln Street, San Jose, CA. Have I mentioned I'm heading out into the world to show off my new baby book? I am! Starting *this* Friday, September 23rd when I'll be visiting Hicklebee's bookstore in San Jose at 7pm. Come see me. 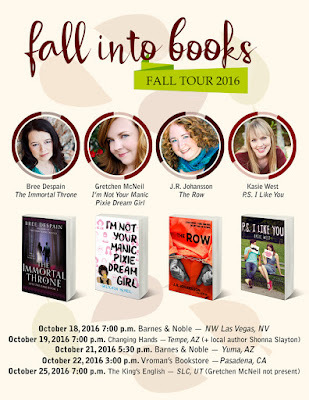 In October, I hit the road with some of my favorite people, JR Johansson, Bree Despain, and Gretchen McNeil. Check out the graphic below to see if we'll be in your area. 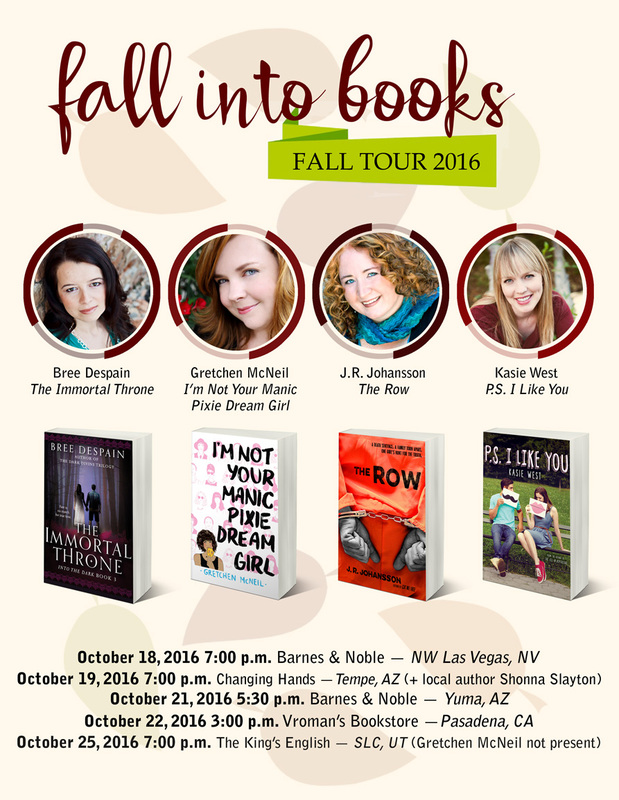 I can't wait to meet readers! 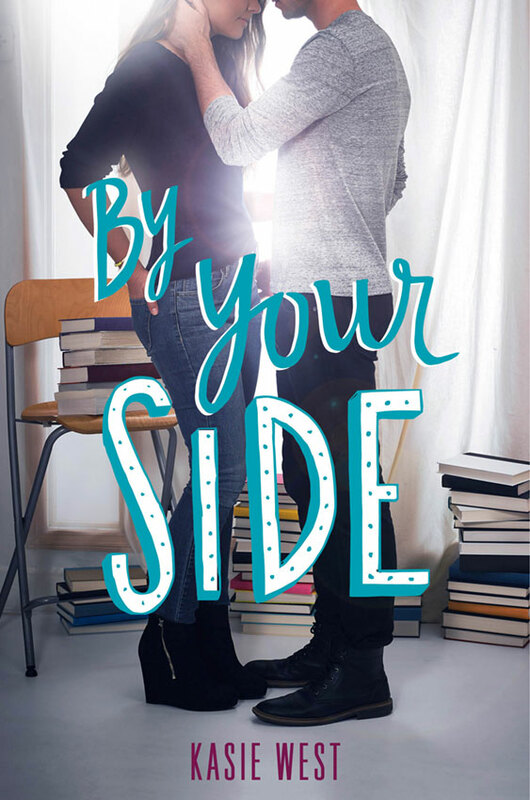 Last week Epic Reads revealed the cover of BY YOUR SIDE (hitting the shelves February 14, 2017) so I thought I'd post it here as well. Isn't it pretty? ?